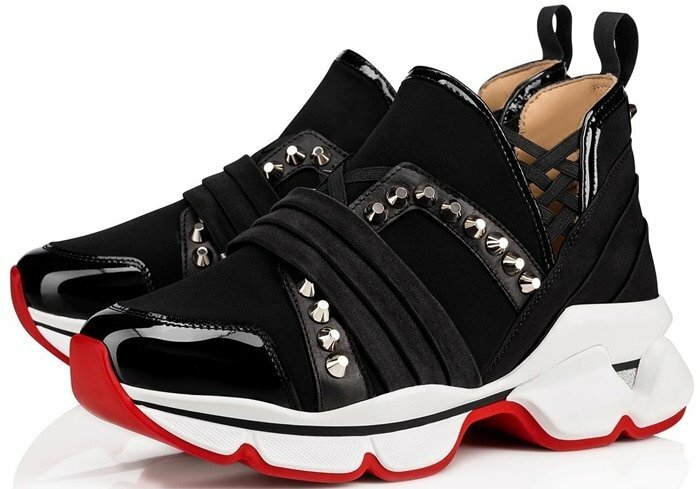 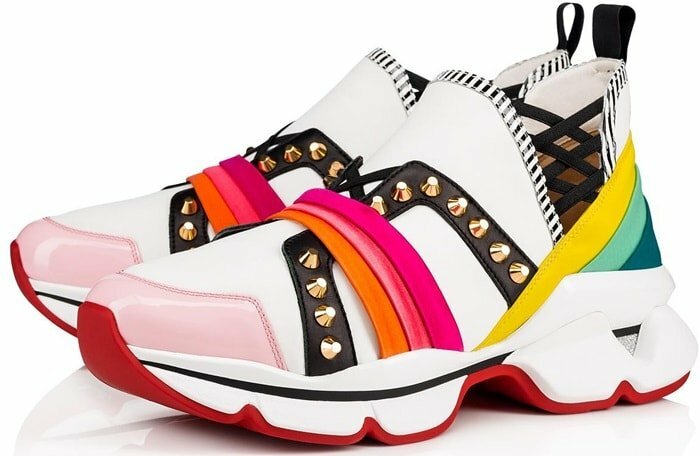 Available in black and rainbow, these fashion sneakers from Christian Louboutin have been made in Italy from neoprene and satin with strips of leather and grosgrain that resemble a laced-up corset. 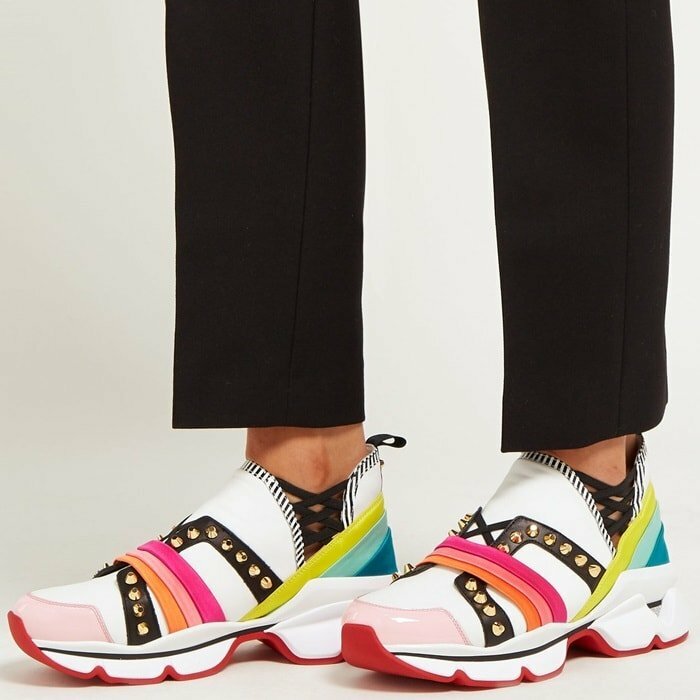 The cushioned lining makes them even more comfortable while running errands. 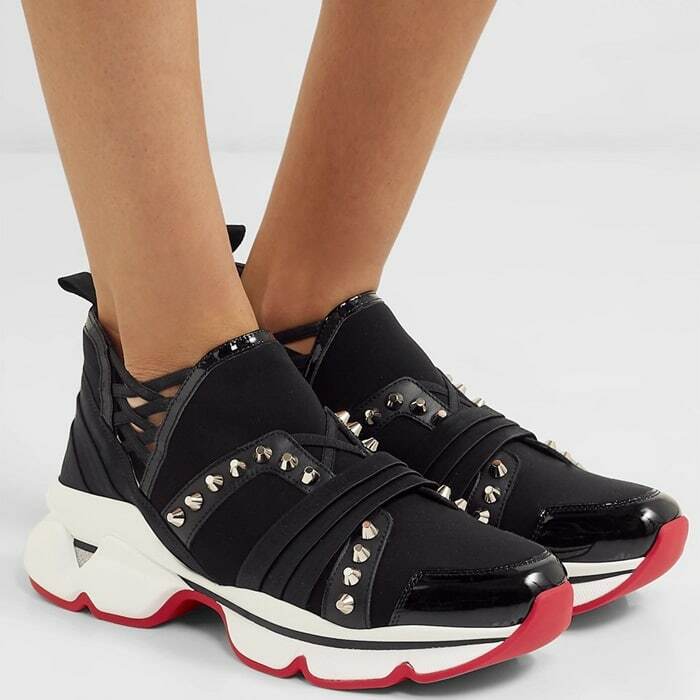 Designed for women on the go, this rhinestone-embellished luxe sneaker lends a bold, elegant feel to any occasion.